This is an excellent resource for programmers who need to learn Java but aren't interested in just reading about concepts. 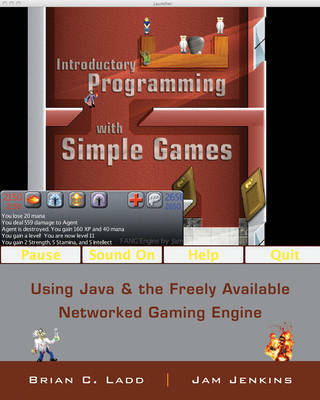 Introduction to Java Programming with Games follows a spiral approach to introduce concepts and enable them to write game programs as soon as they start. It includes code examples and problems that are easy to understand and motivates them to work through to find the solutions. This game-motivated presentation will help programmers quickly apply what they've learned in order to build their skills. Brian C. Ladd and Christopher James Jenkins are the authors of Introductory Programming with Simple Games: Using Java and the Freely Available Networked Game Engine, published by Wiley.